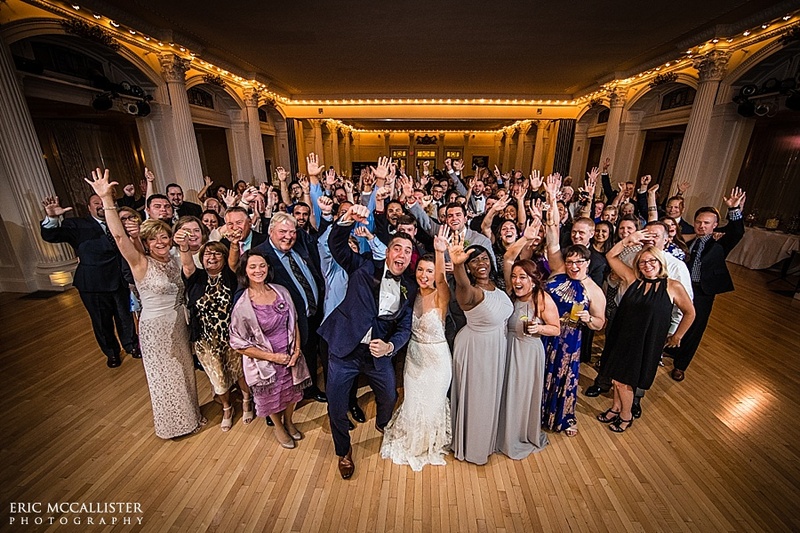 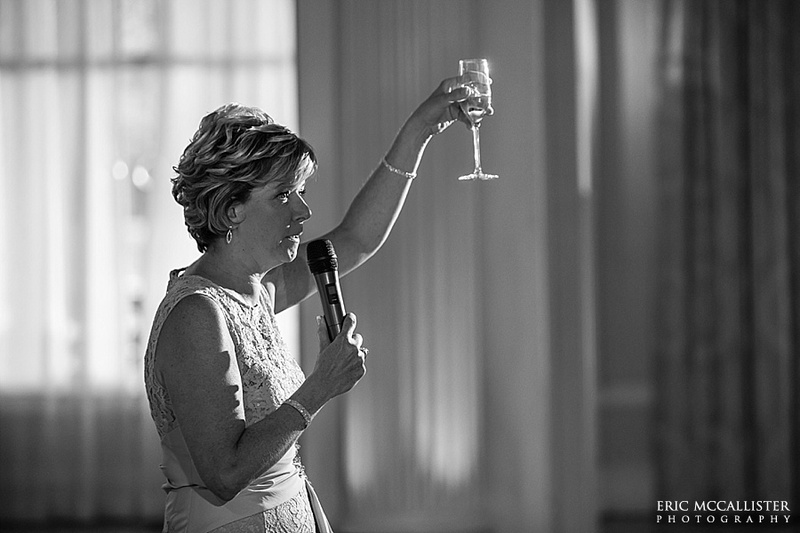 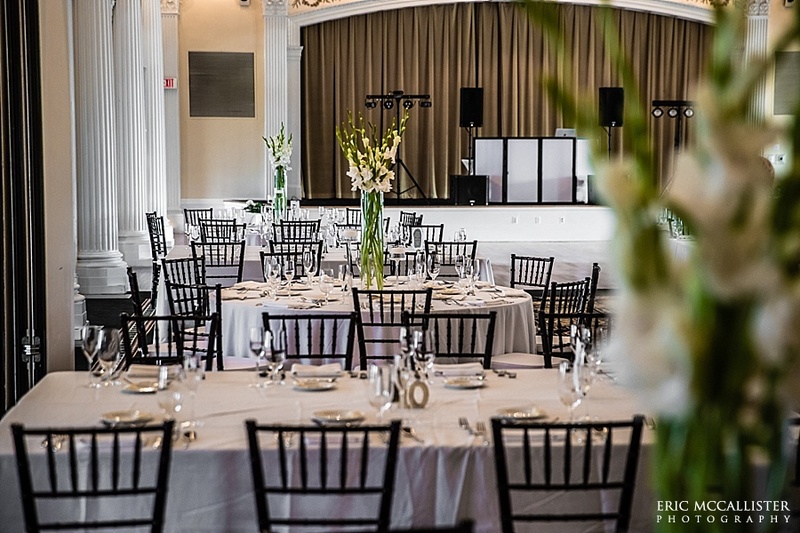 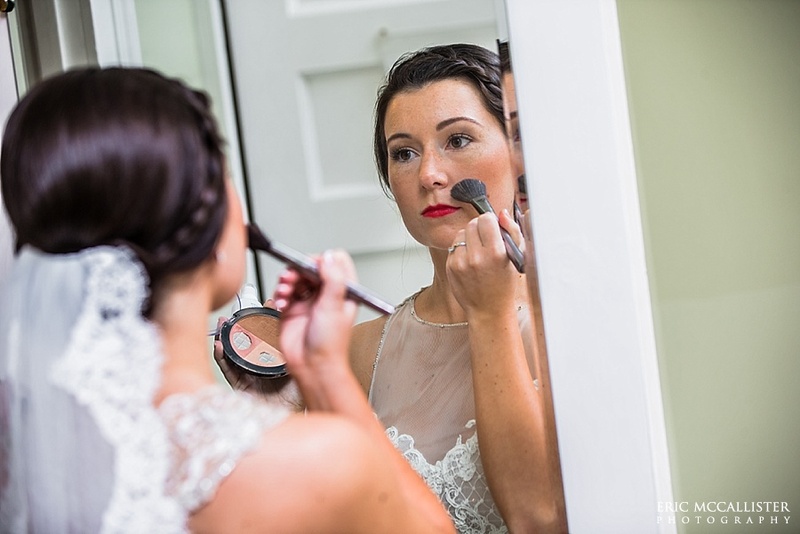 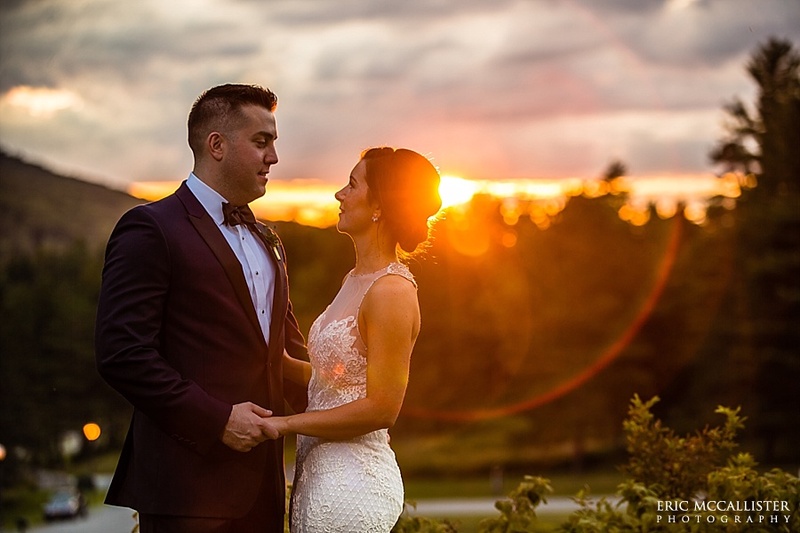 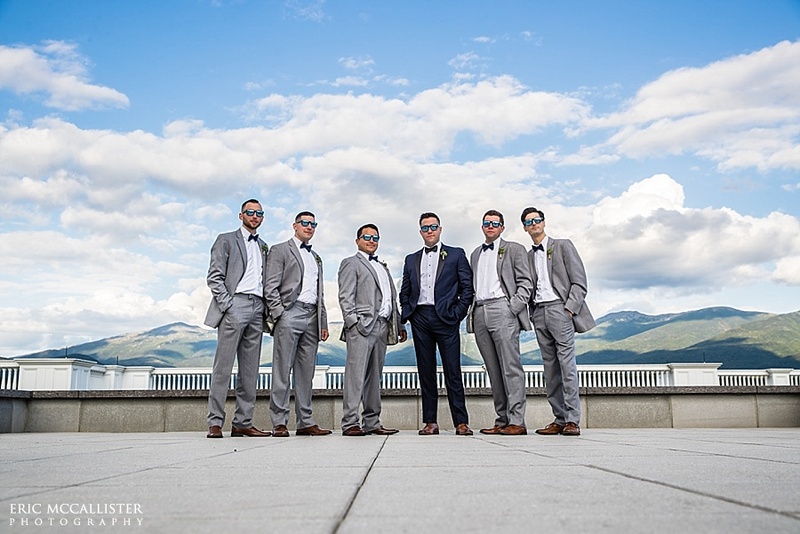 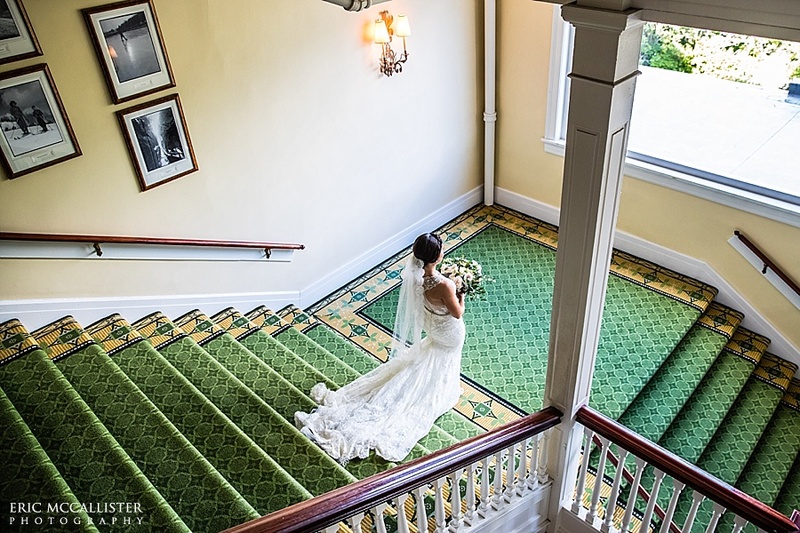 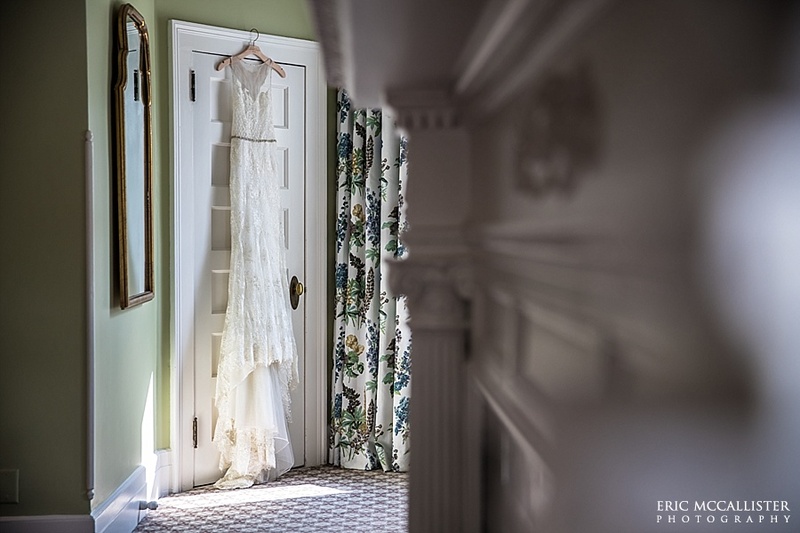 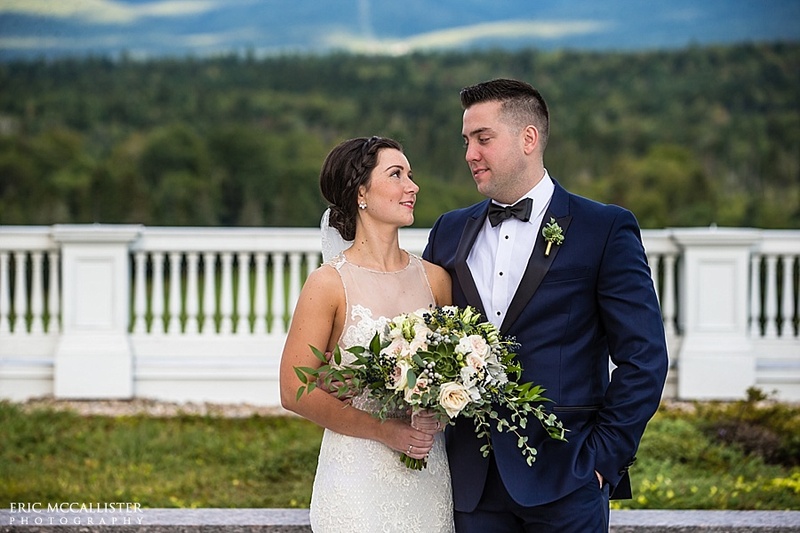 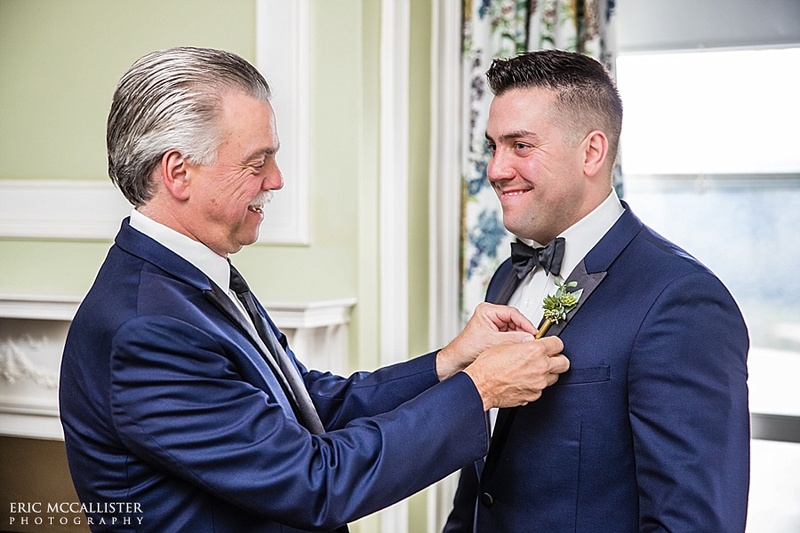 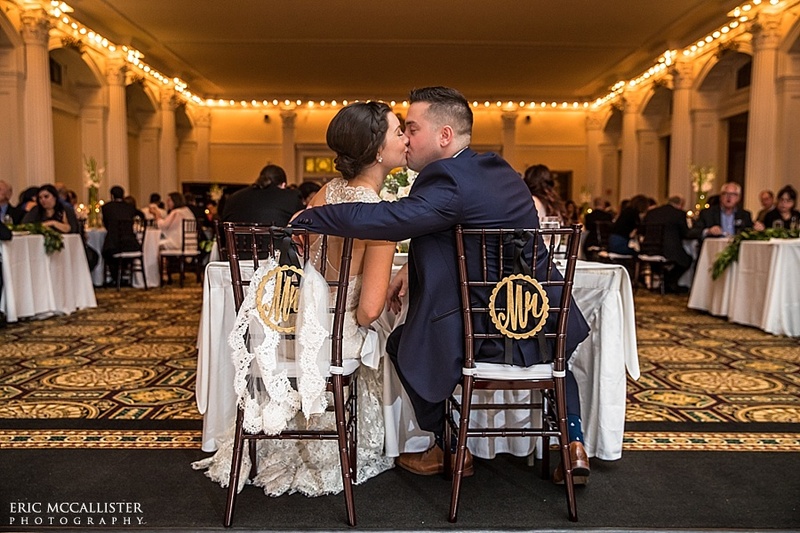 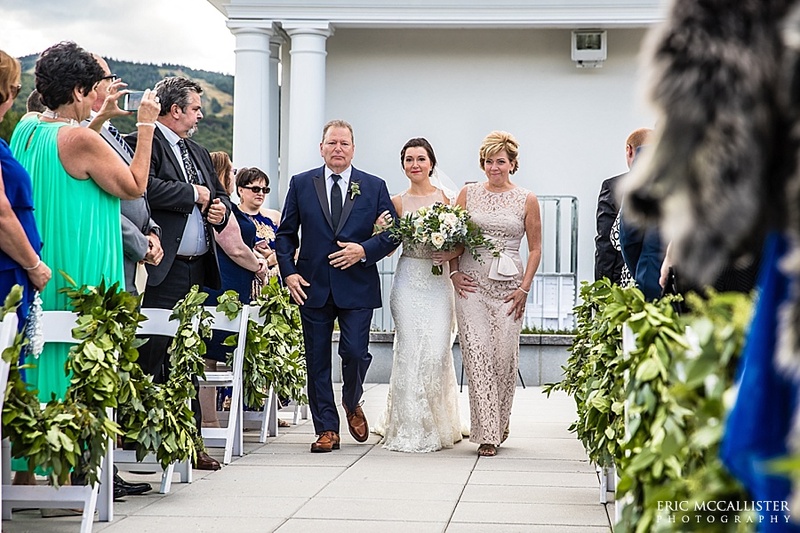 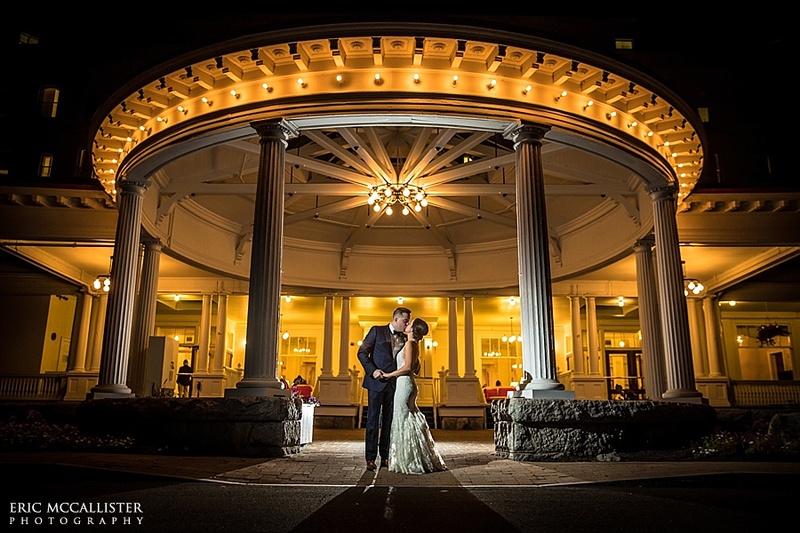 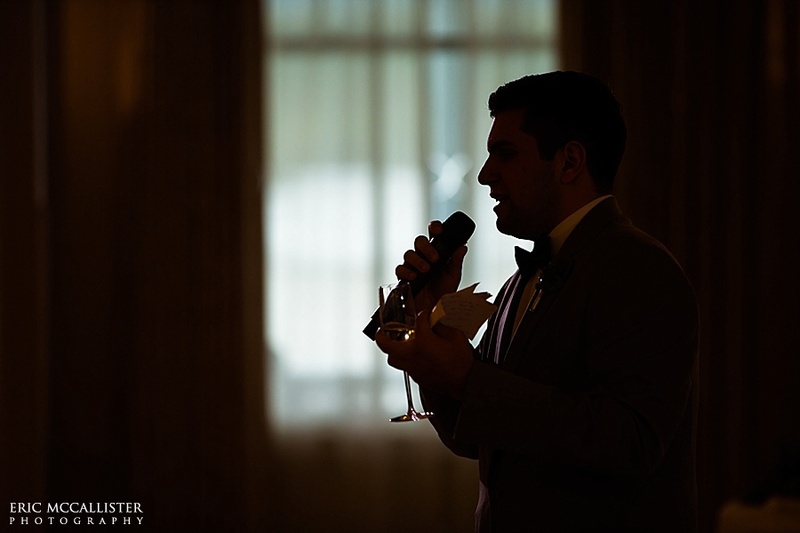 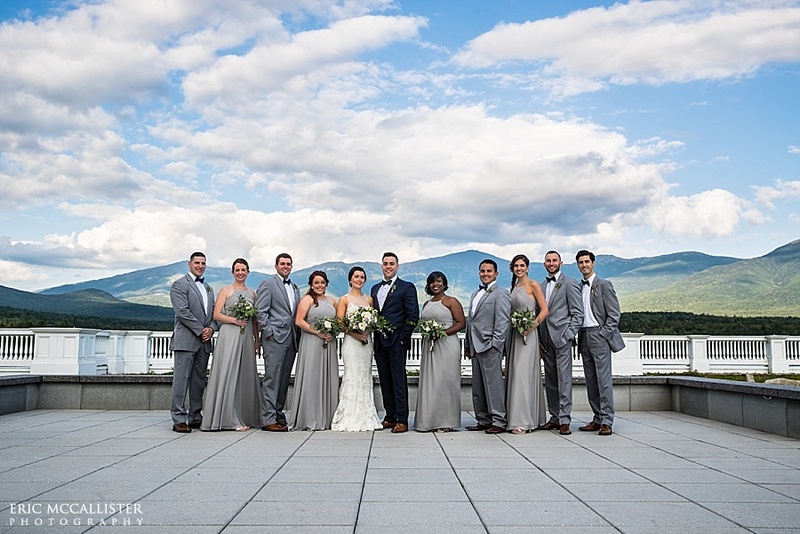 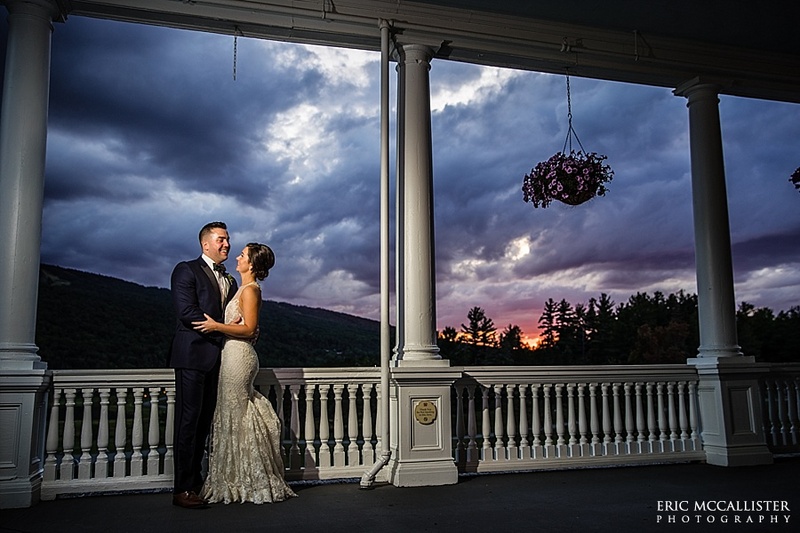 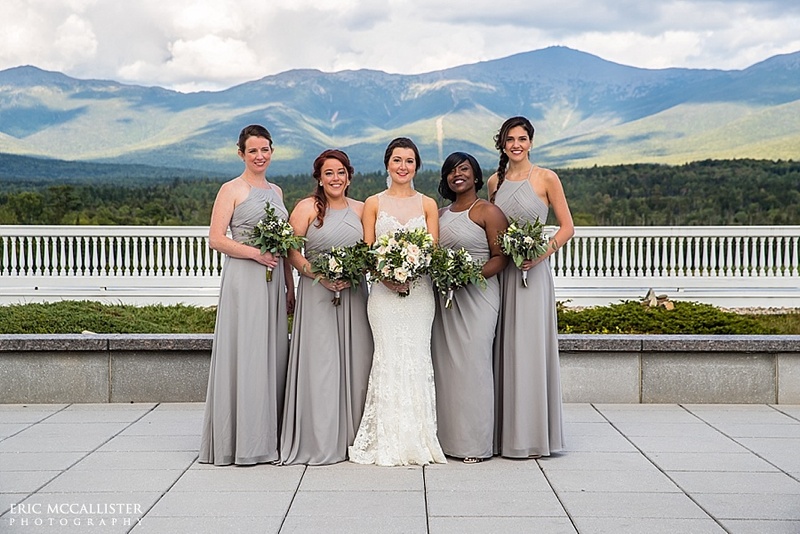 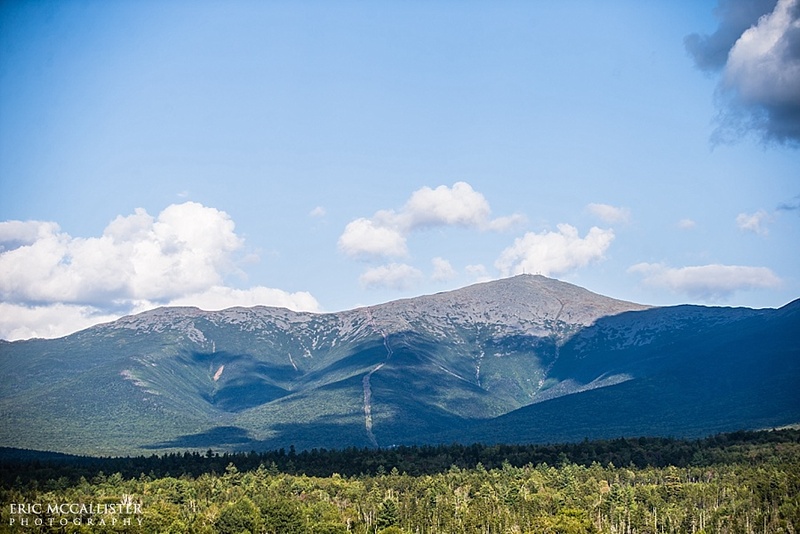 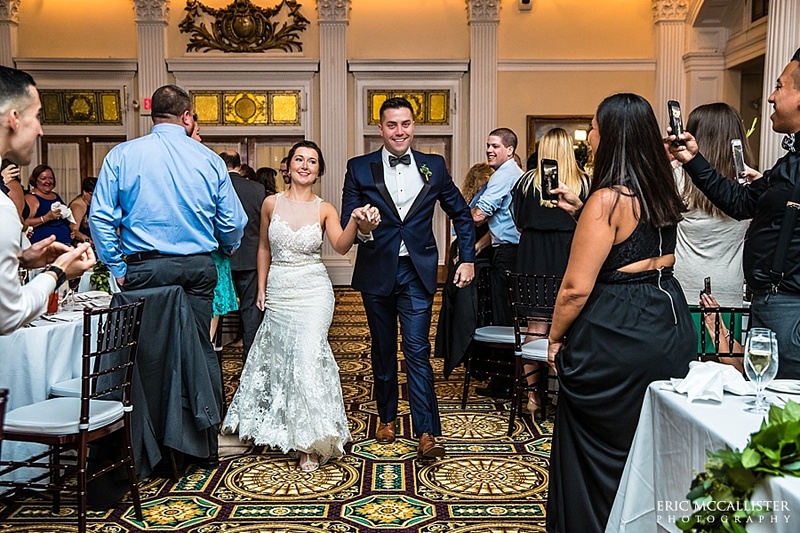 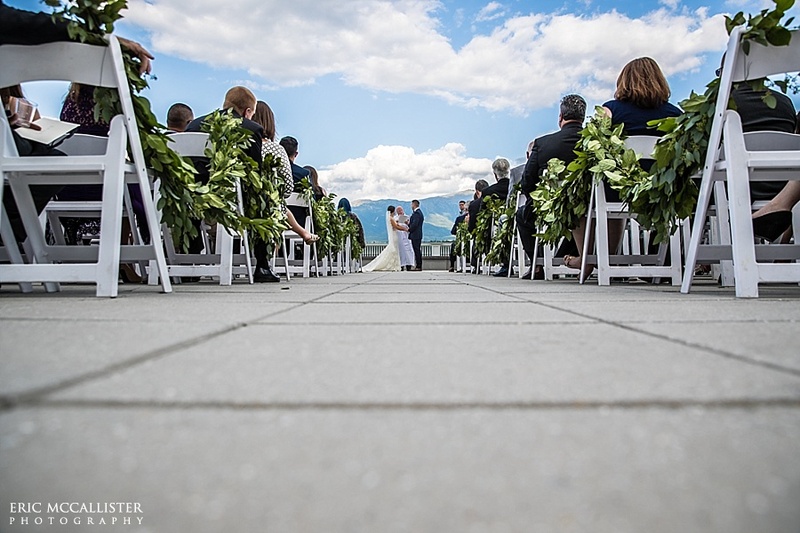 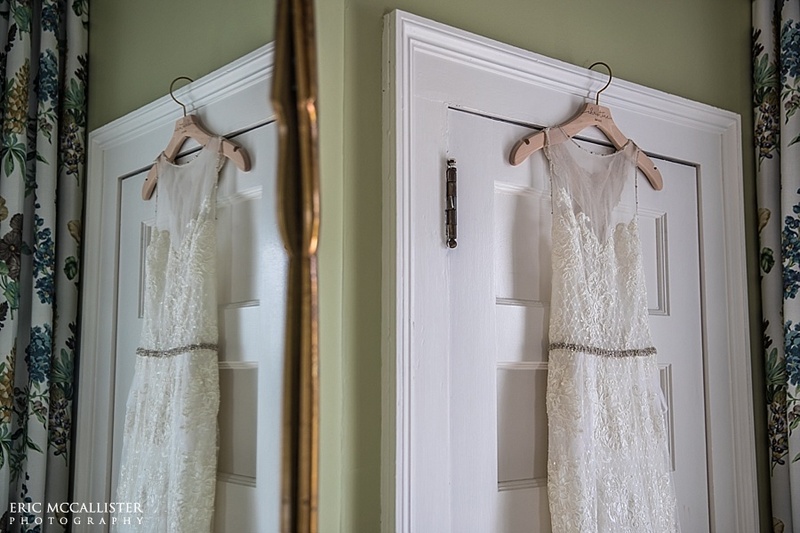 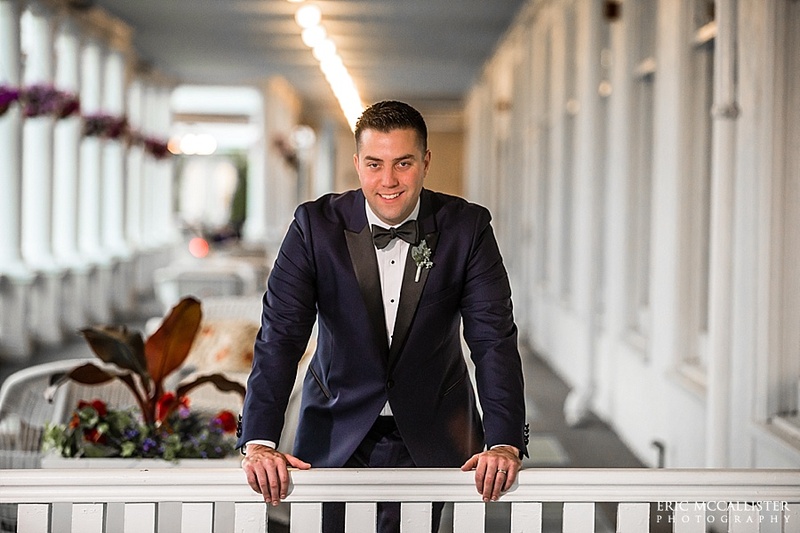 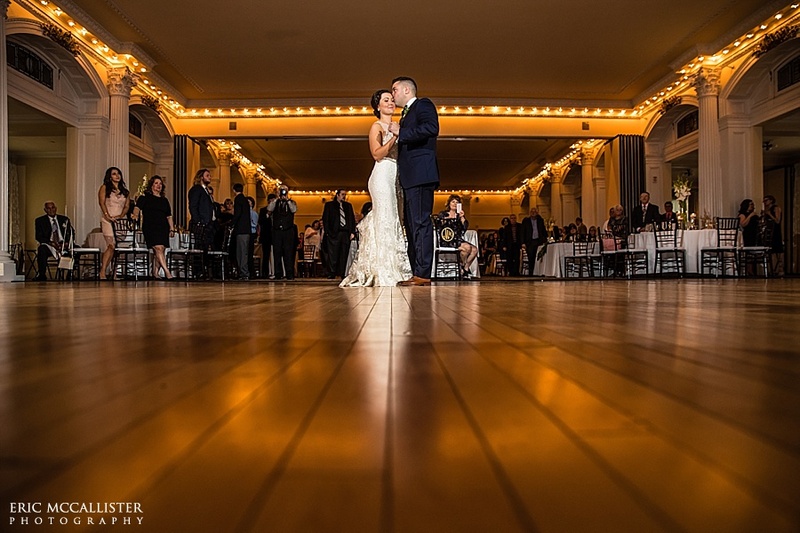 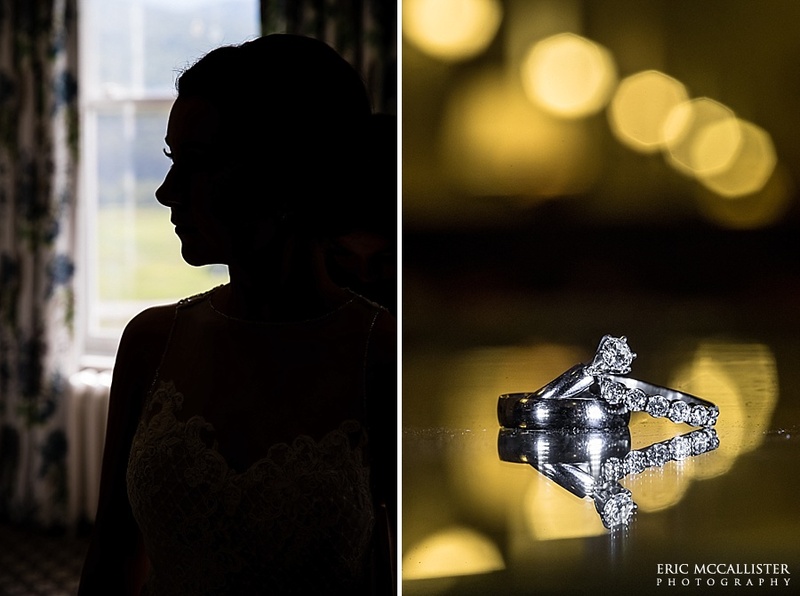 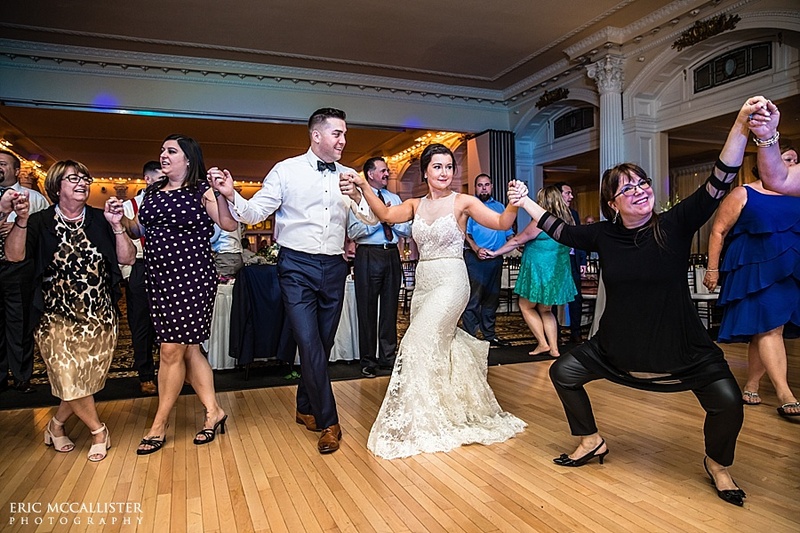 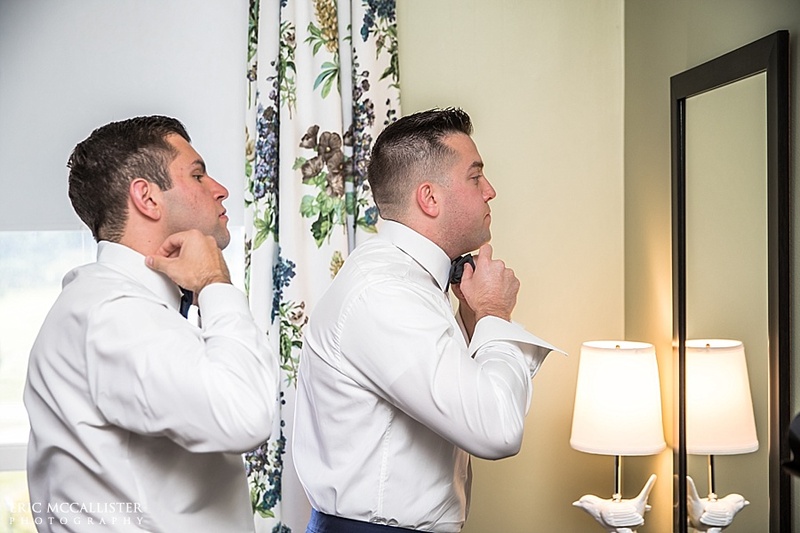 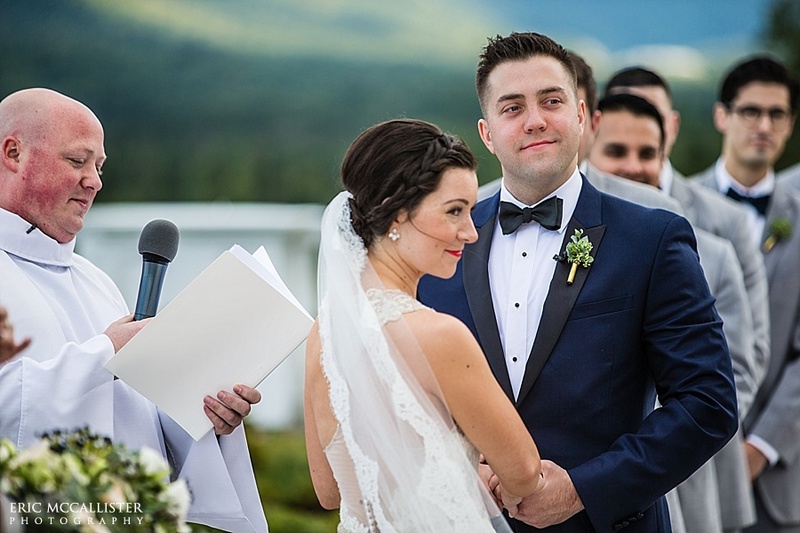 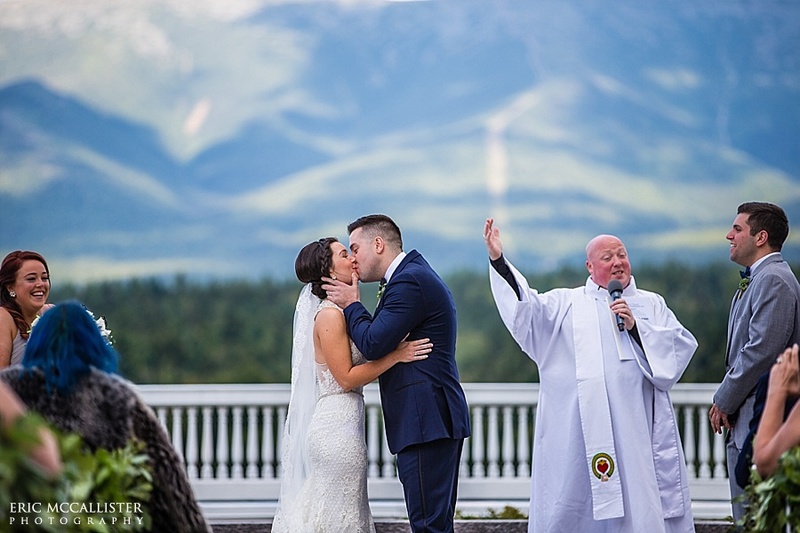 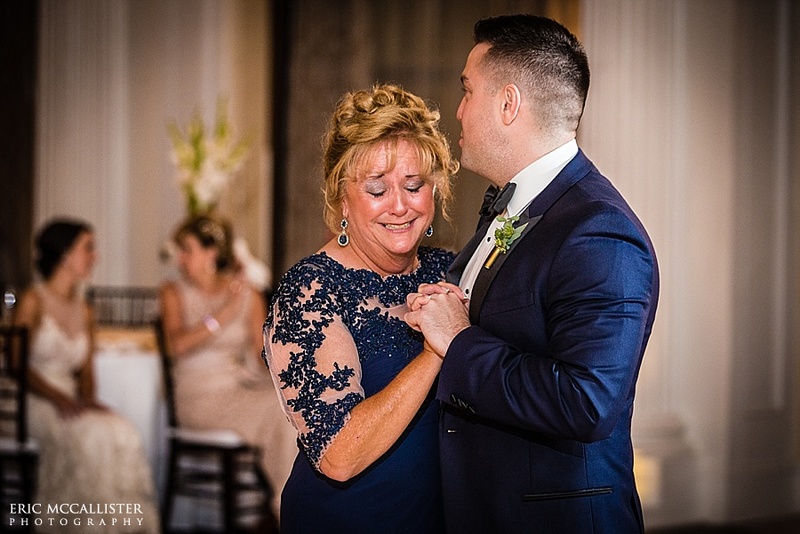 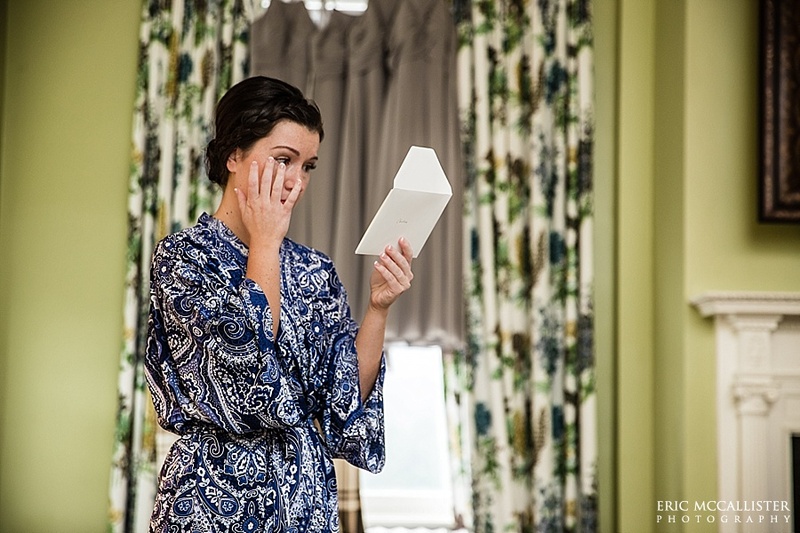 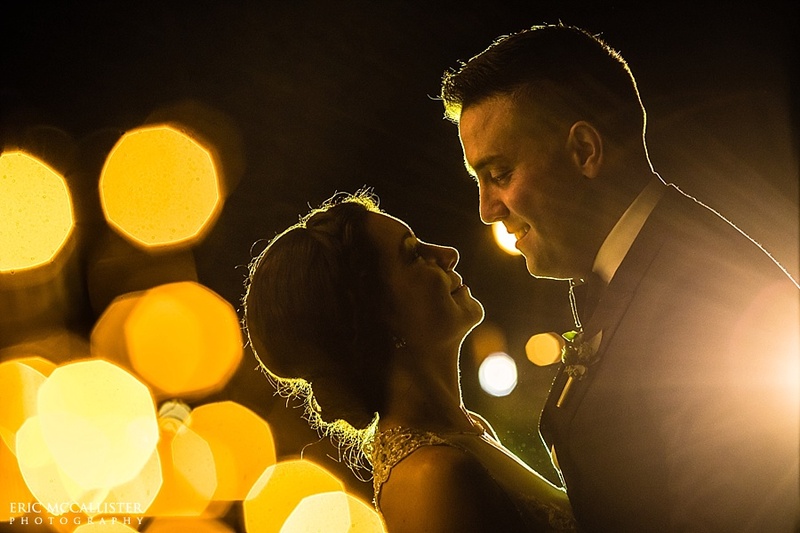 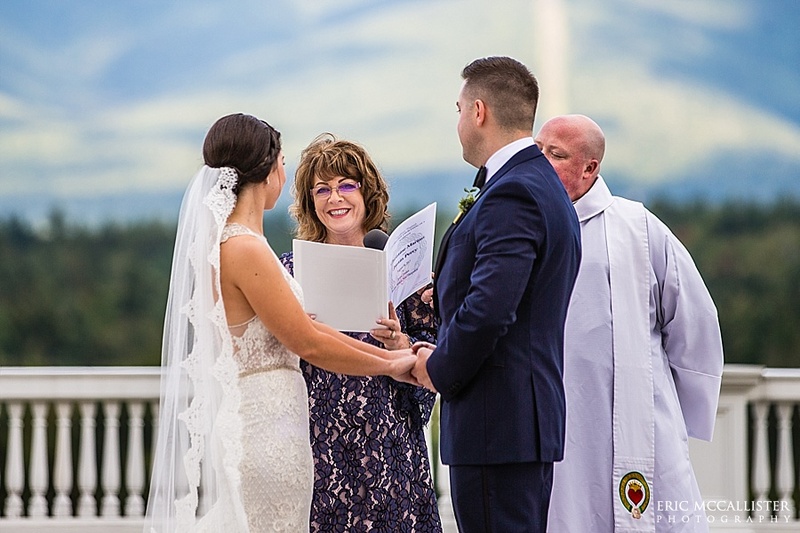 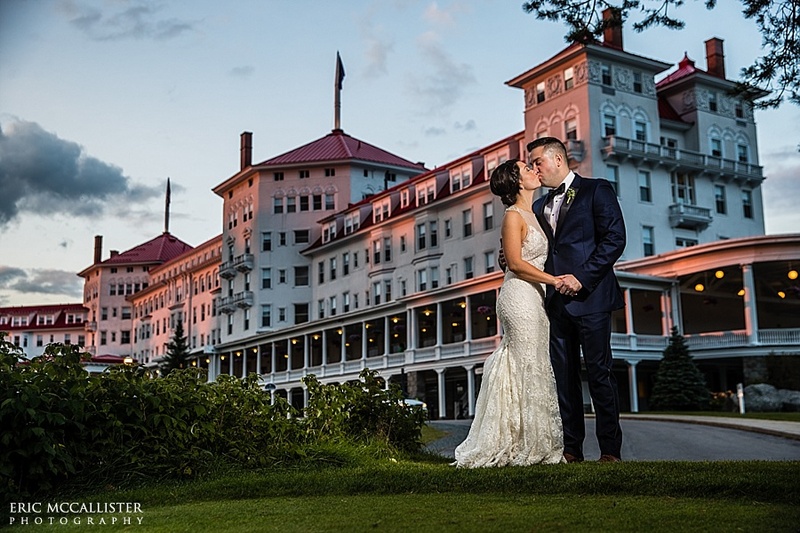 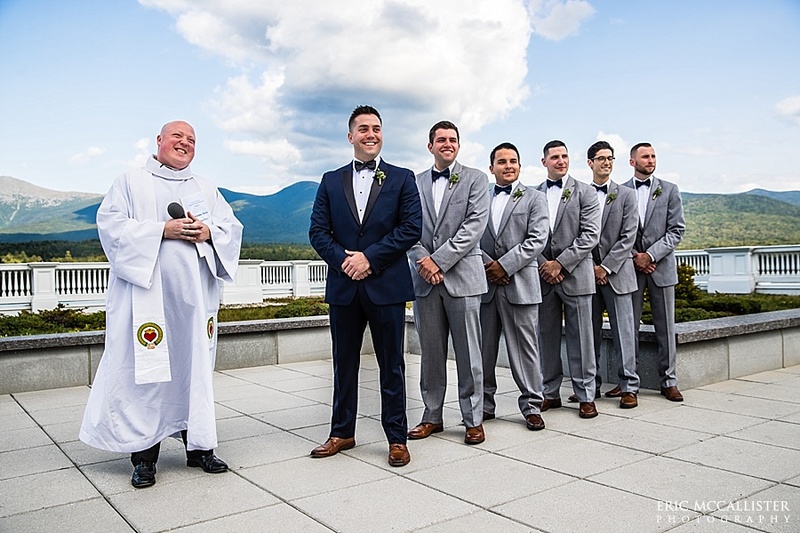 Christine and Justin’s Mount Washington Hotel wedding was everything that you would expect at this spectacular mountainside venue! 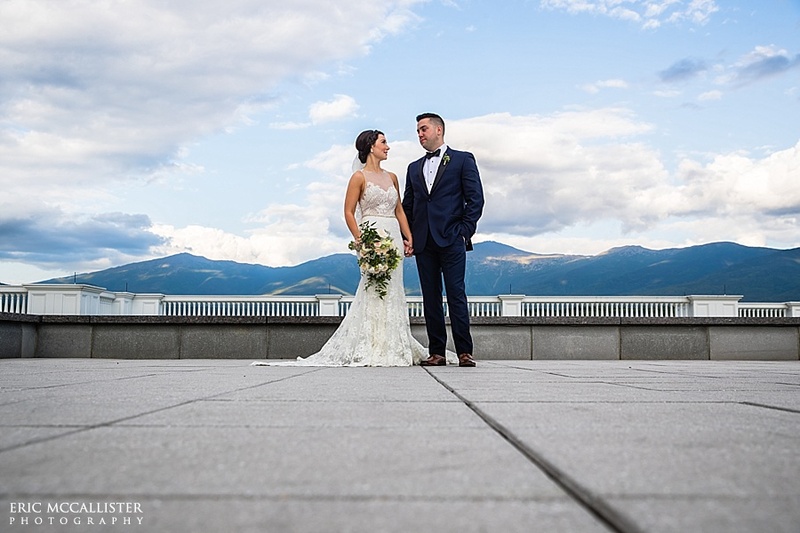 Blue skies, fluffy clouds, and fresh mountain air set the backdrop for their day. 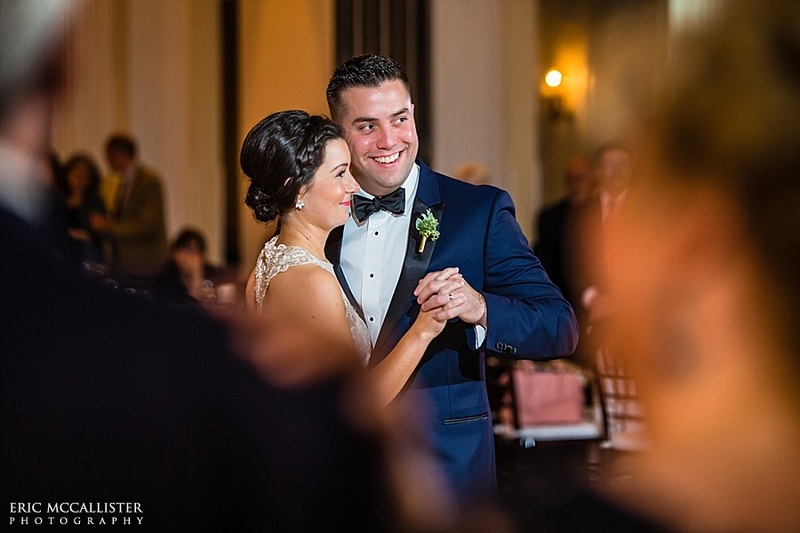 And center stage was Christine and Justin! 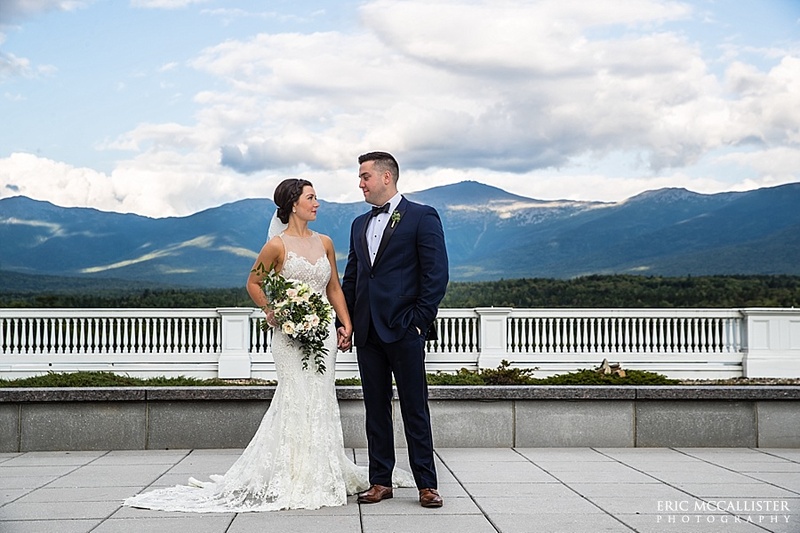 I first met Christine and Justin the prior winter, also at the Mount Washington Hotel, for their engagement session. 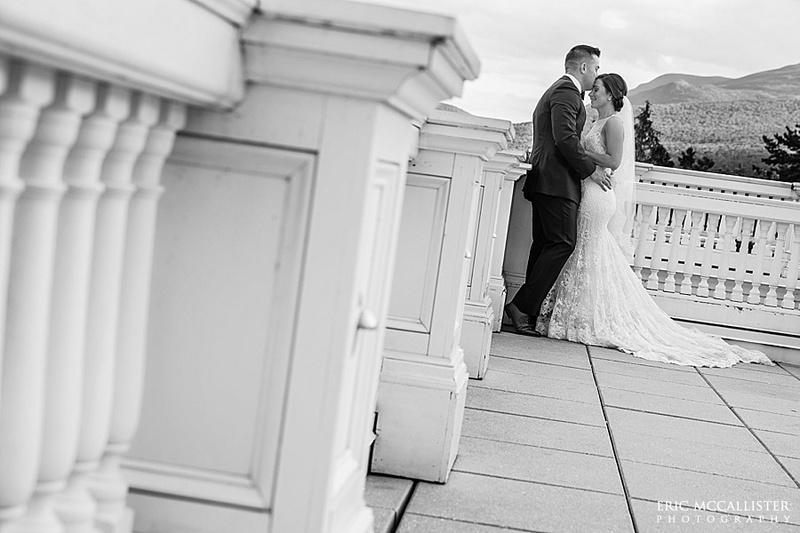 We wandered around in the snow that day, chatting about their wedding and all of the great photographic possibilities at the Hotel. 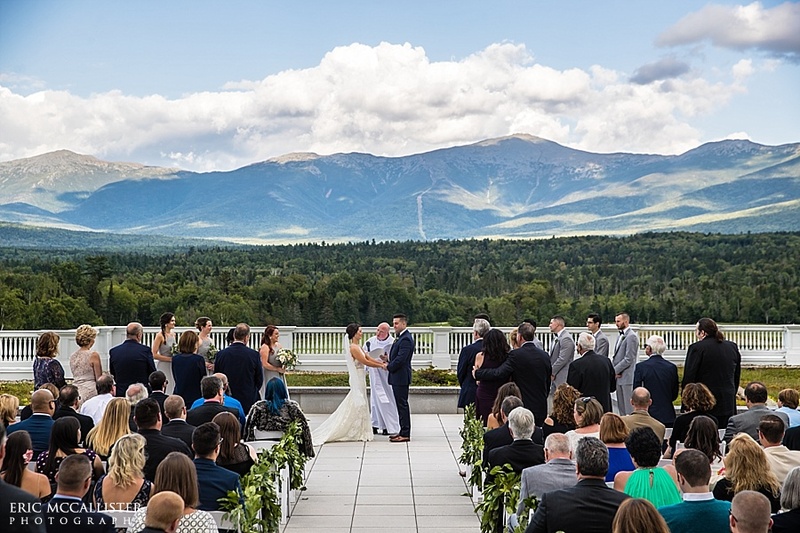 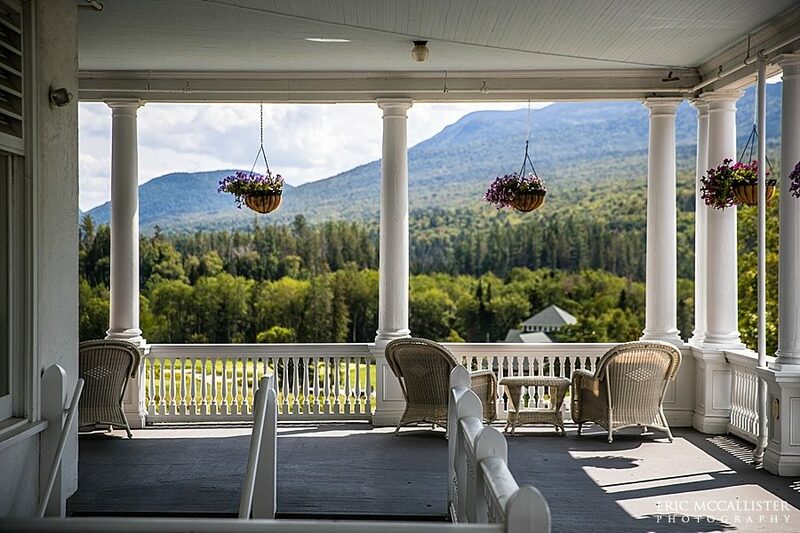 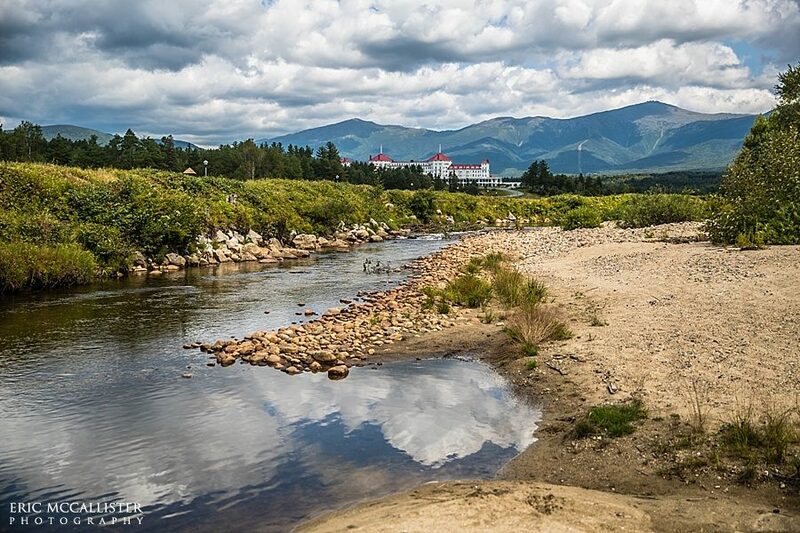 The Mount Washington is such an expansive and unique venue that even spending two days here with them, we really never repeated ourselves! 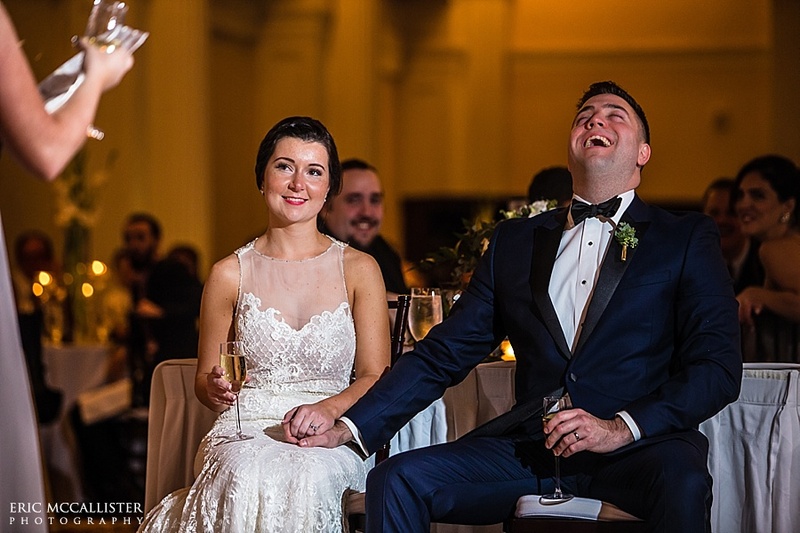 Fortunately, on their wedding day, their was no snow! 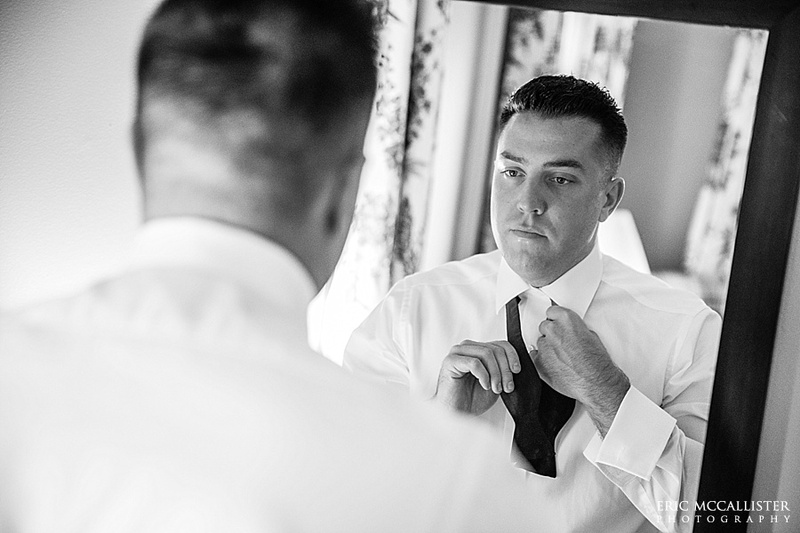 I started the day with Justin getting ready, before meeting up with Christine and the girls. 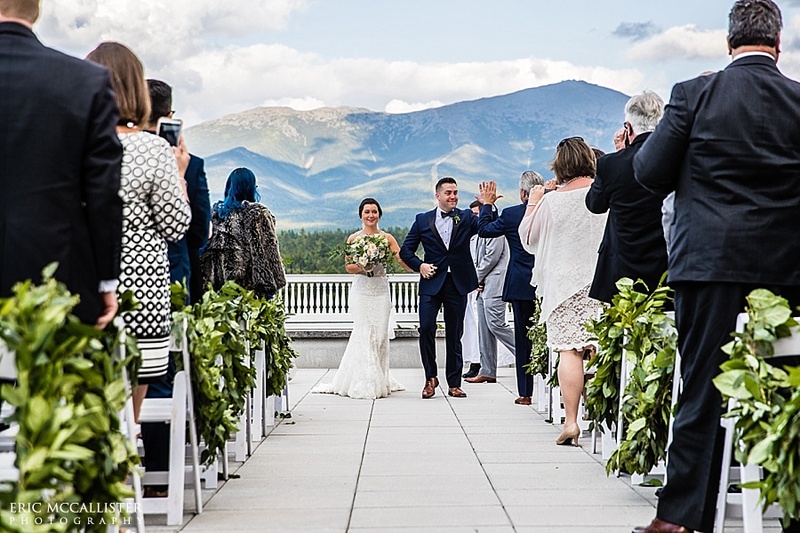 We all reconnected for their ceremony on the Jewel Terrace. 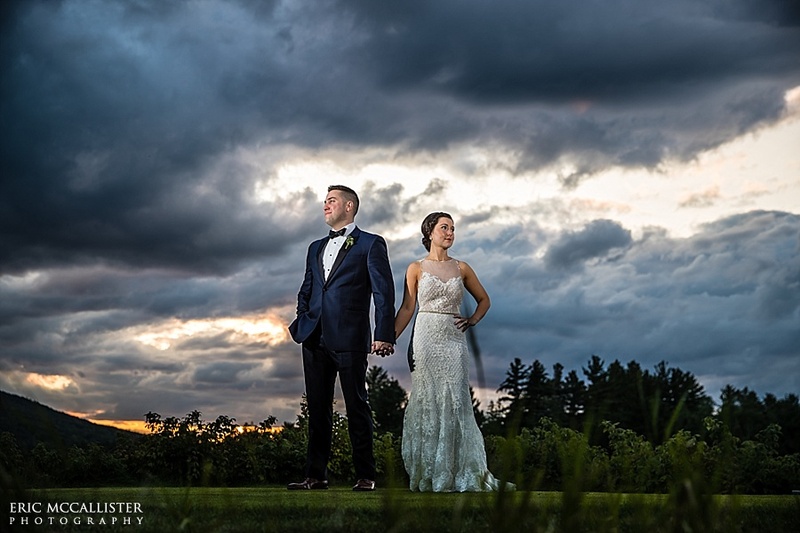 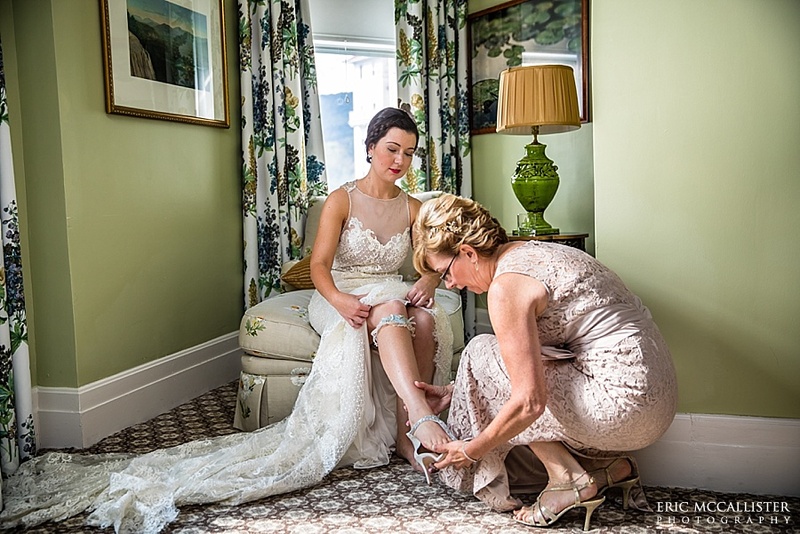 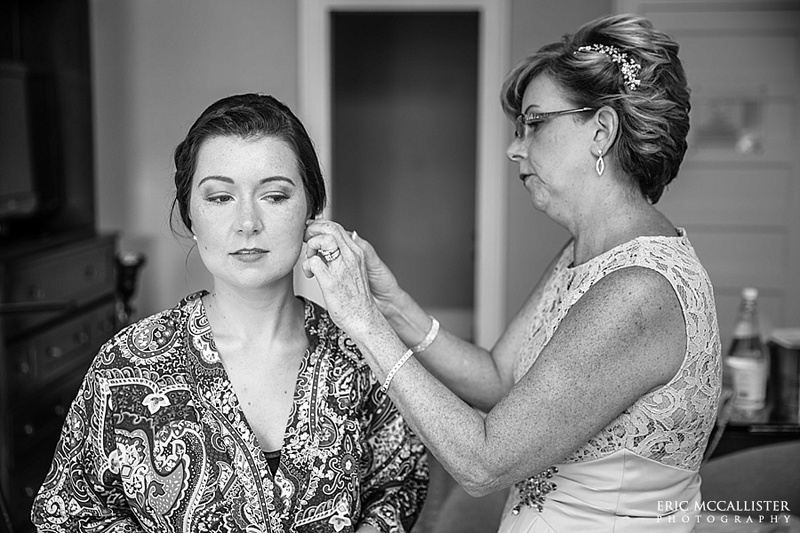 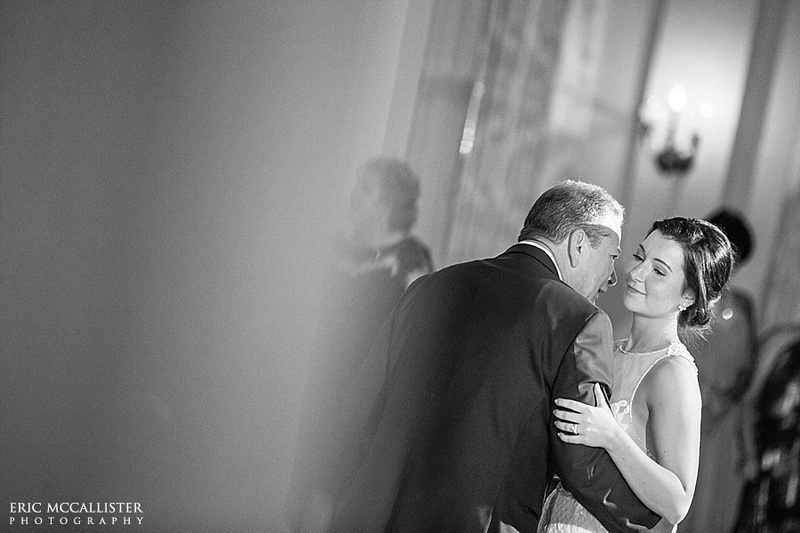 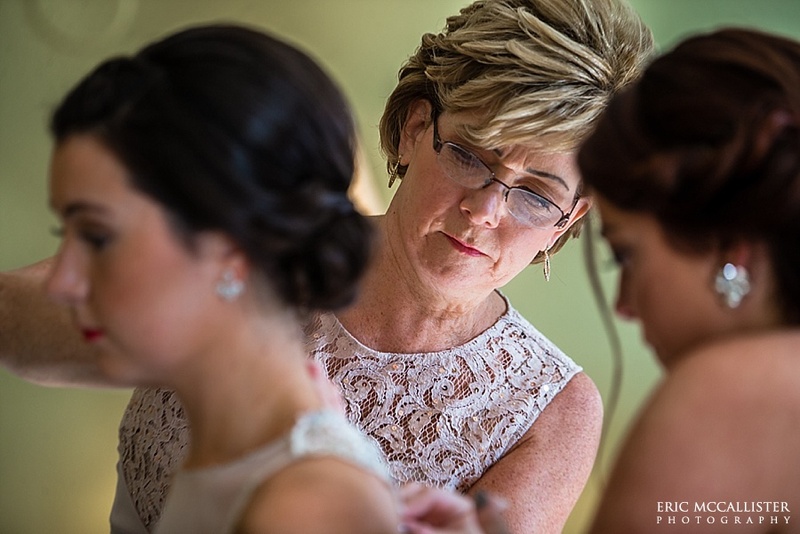 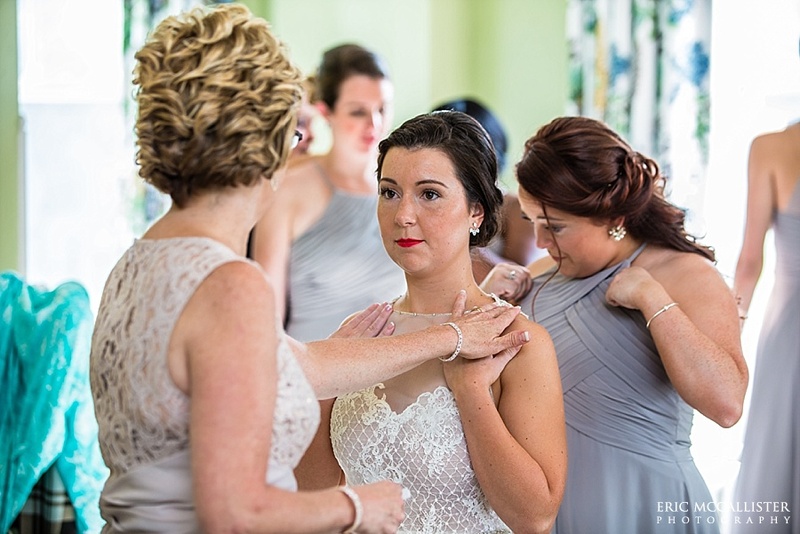 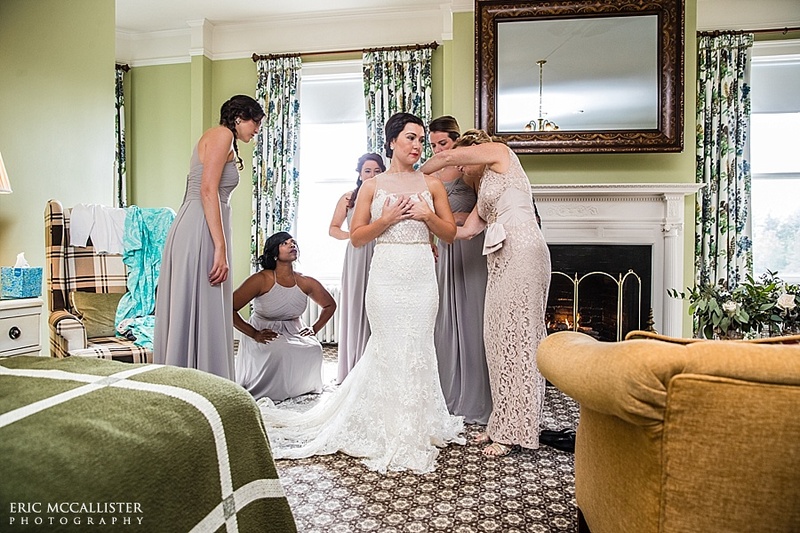 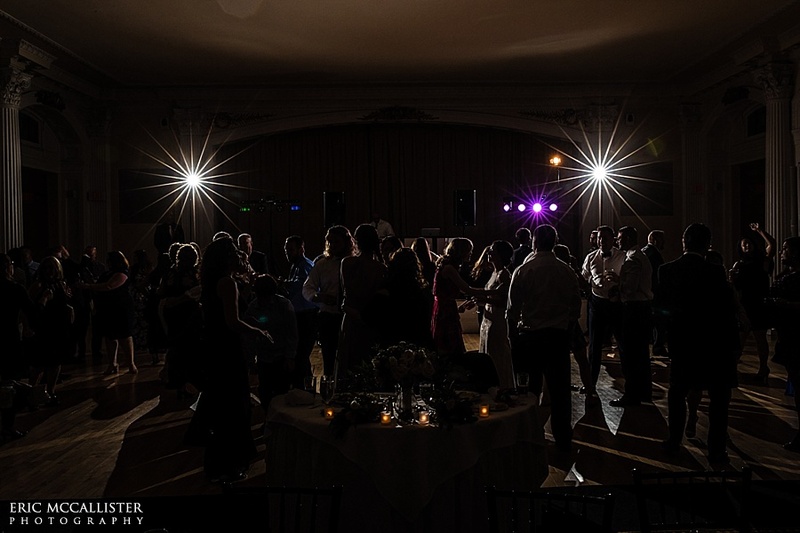 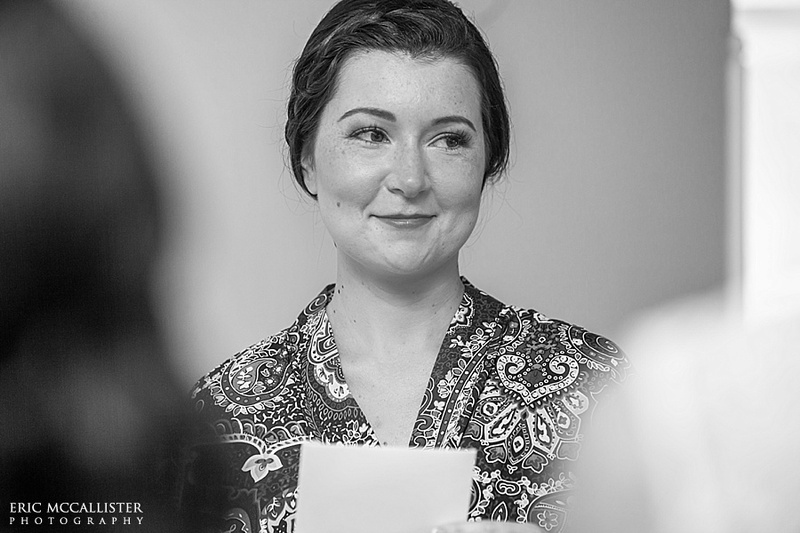 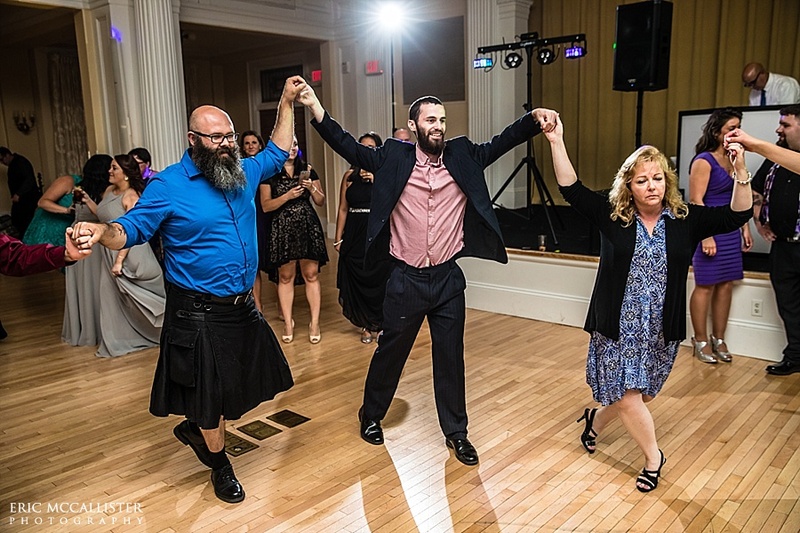 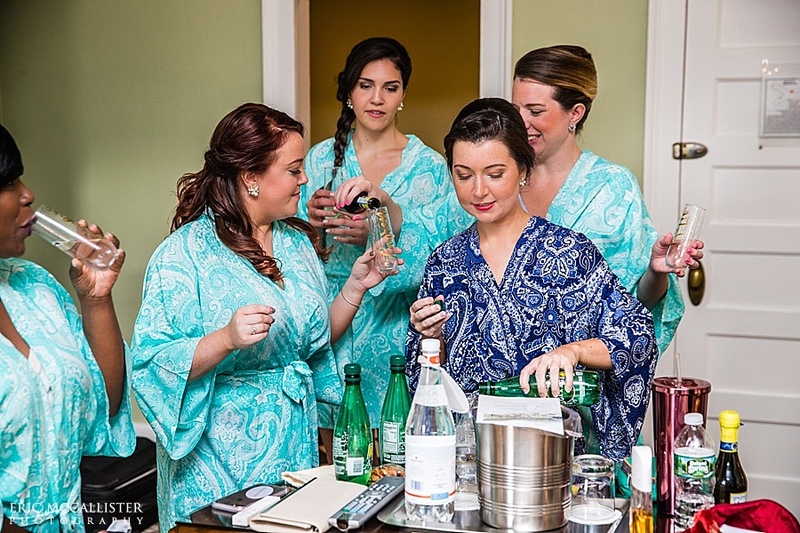 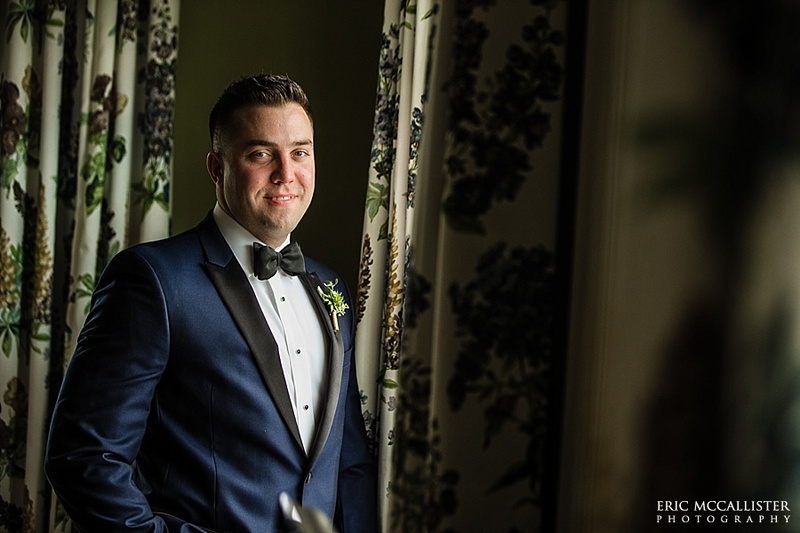 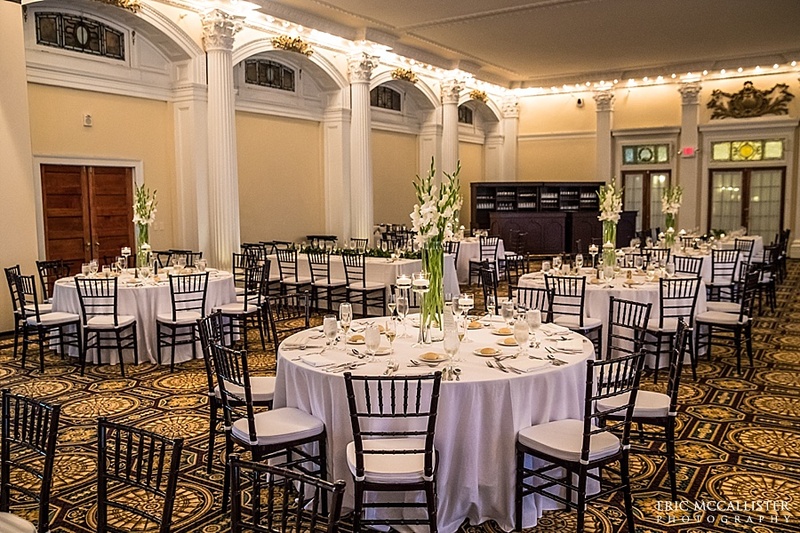 Afterwards, we raced through family and wedding party portraits, and then spent a little time on bride and groom portraits before heading inside to the Grand Ballroom and the wedding reception formalities.